Hook Heath Area Guide - What makes Hook Heath so great? Where do Hook Heath locals go? A fantastic hangout in Woking Park. The best gym in Woking! Racquets, gym, pool - it has everything! You can have a fantastic family day out at this leisure centre, where there's a wave machine and slides. The best fish and chips in Woking! A tranquil space to walk the dog and follow the tree trail. It's a great spot so close to the centre of Woking. The second largest shopping centre In Woking with a large number of retail outlets. One of the busiest places in the town centre and best of all, the Foxtons office is a part of it! Auntie Anne's is amazing - their vanilla pretzels are the best! You can find them in the Peacocks Centre. Share your favourite place to go to in Hook Heath. Hook Heath is a village in Surrey, located west of Woking. 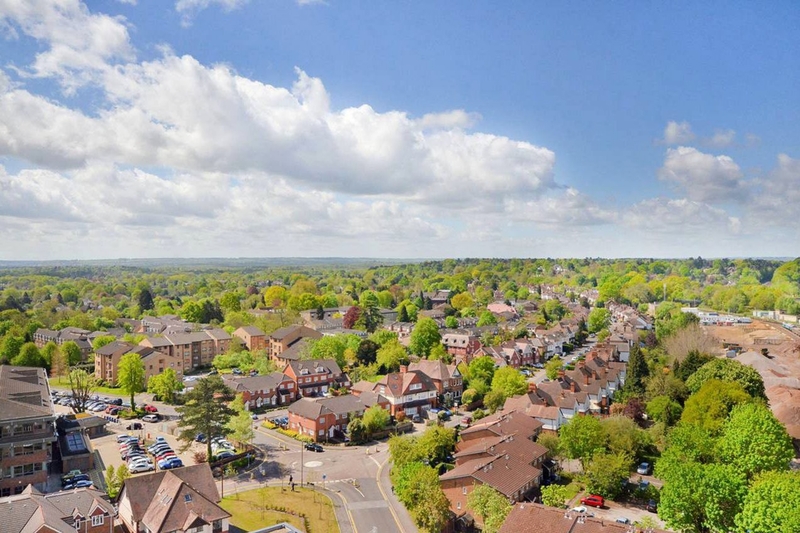 Neighbouring villages include Knaphill, Horsell, Goldsworth Park and St. Johns. What are your favourite things about Hook Heath? Find out how much your flat or house is worth om Hook Heath. Feedback about living in Hook Heath has been submitted directly by the public and may not neccessarily reflect the views of Foxtons. The description of Hook Heath was modified from Wikipedia and is available under the Creative Commons licence. Land Registry data is Crown copyright. All the views and contributions contained within Foxtons Local Life are those of the contributors. All content is assessed before publishing for taste, however free opinion is encouraged. Foxtons accept no payment or sponsorship for content that is posted about Hook Heath.